email: Go to contact us link. Integrated on roof models, no water in tubes. Electric and gas boosted models available. scroll down for info and prices. STC rebates available for every one. 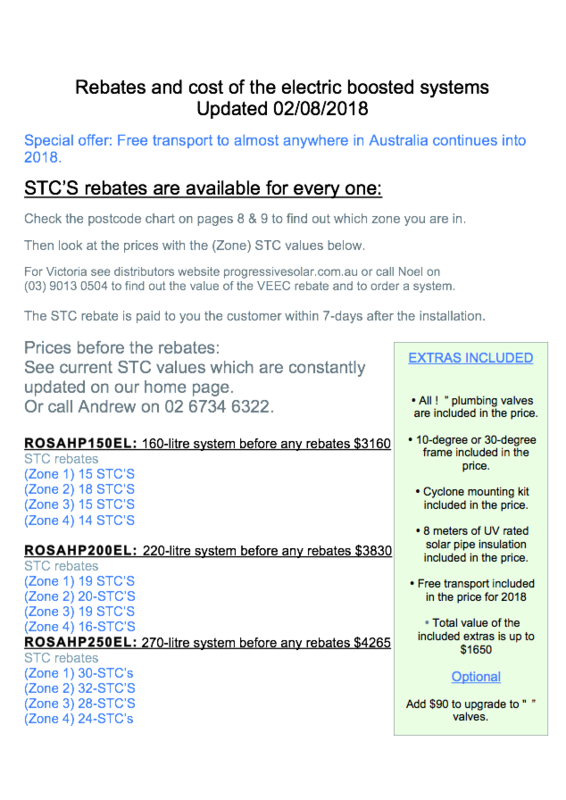 VEEC rebate in Victoria for the gas boosted models will be deducted off the price. 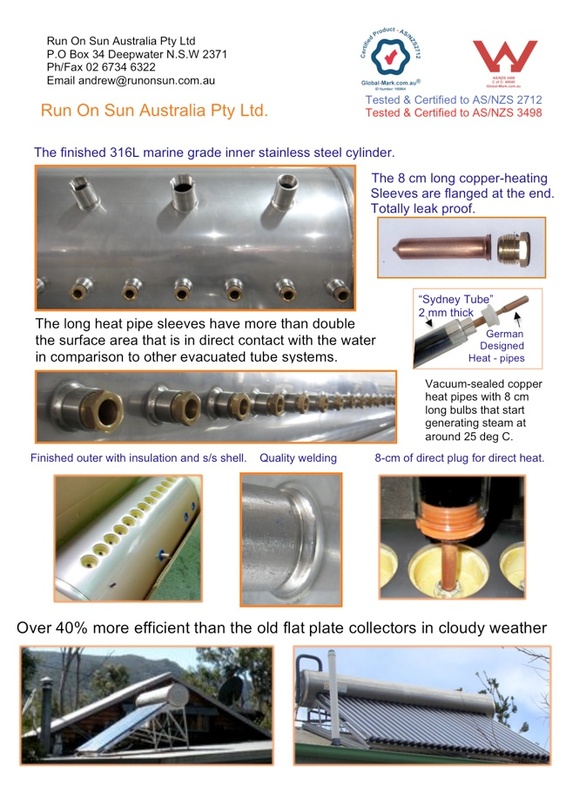 •Heavy duty marine grade 316L stainless steel tank. Both inner and outer. 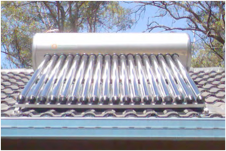 •Heat pipe technology, no water inside the tubes. •All Run On Sun evacuated tubes are made from 2-mm thick glass, with a hail-stone diameter rating of 35-mm. 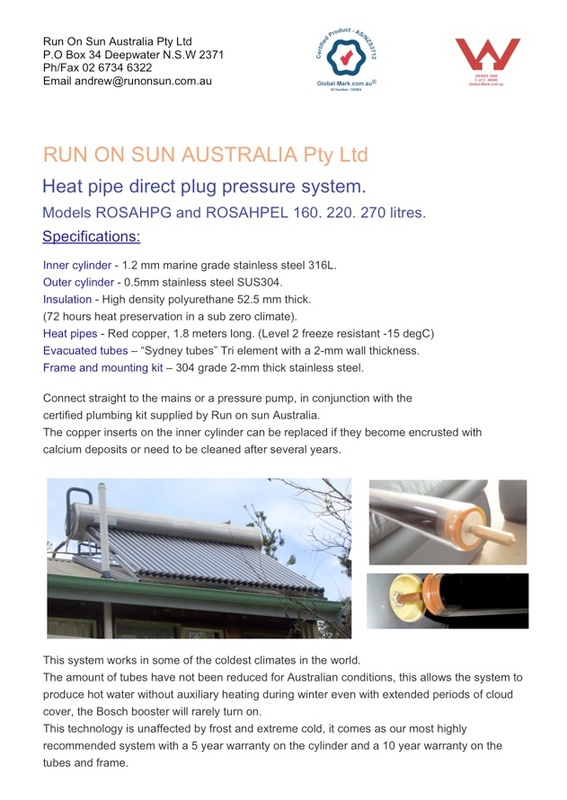 •All Run On Sun evacuated tubes come with the latest Tri-Ellement solar selective coating patented by “Sydney University”. •Heavy duty 2-mm thick 304-grade stainless steel frames and cyclone mounting kits at no extra cost. •Australian structural and mechanical engineer on our staff. 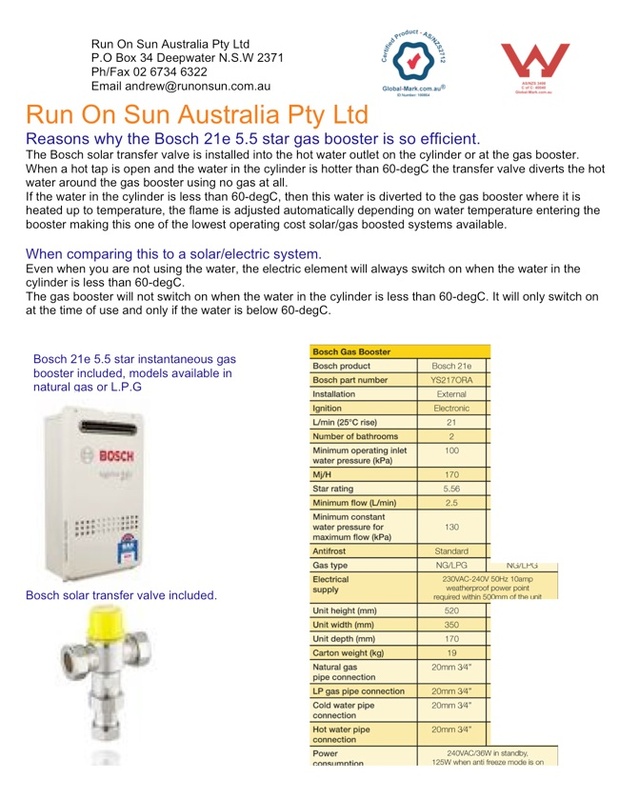 •All the valves required are valued between $300-$600 and are included in the price. 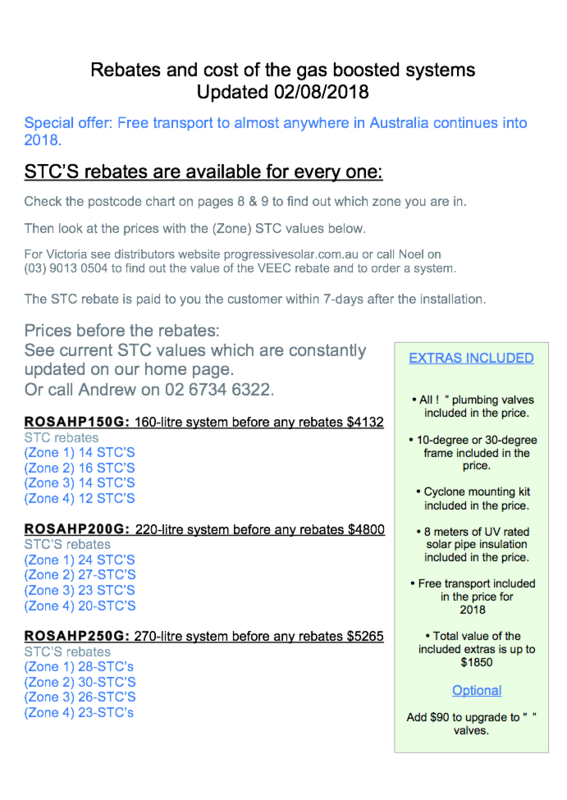 •Freight to almost anywhere in Australia is included in the price. •Spare tubes included in the price. •Solar rated pipe insulation included in the price. 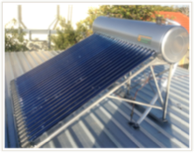 •Longest warranty in Australia on all our integrated solar water heaters. •5-years warranty on the tank. •10-years warranty on the frame and mounting kit. •10-years warranty on the evacuated tubes. •No pumps or controllers are needed on all our integrated models. •Less copper pipe needed than split systems. •No antifreeze needed in cold areas. 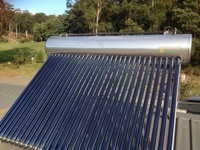 •Best anti-freeze rated solar water heater in Australia. THE ELECTRIC BOOSTED MODELS. 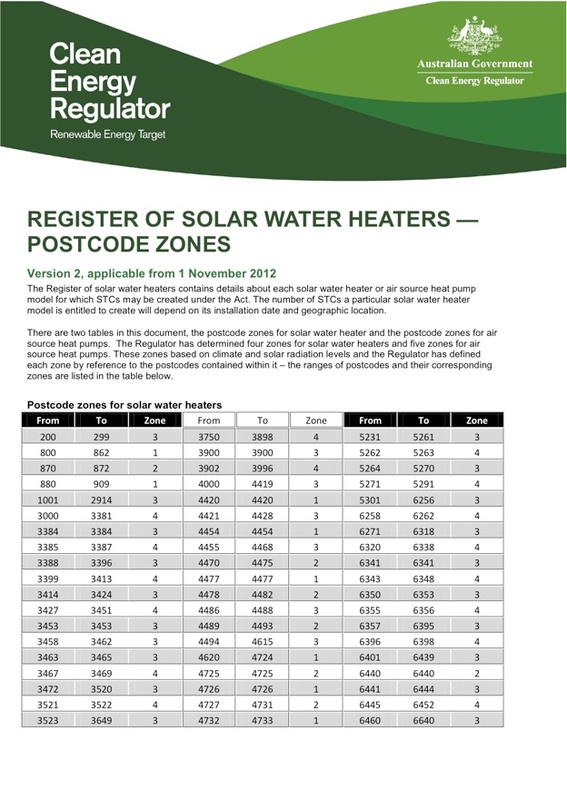 YOUR POSTCODE ZONE DETERMINES THE REBATE. LOOK UP YOUR POSTCODE TO SEE WHICH ZONE YOU ARE IN. warranty on the cylinder and a 10 year warranty on the evacuated tubes and frames.